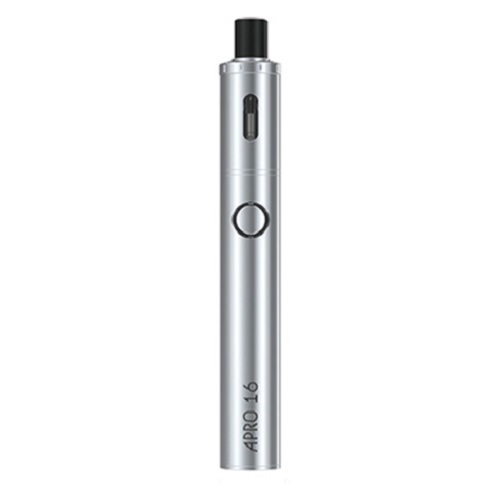 The UD Apro 16 vape starter kit is without a doubt the best vaping pen we stock in this price range. 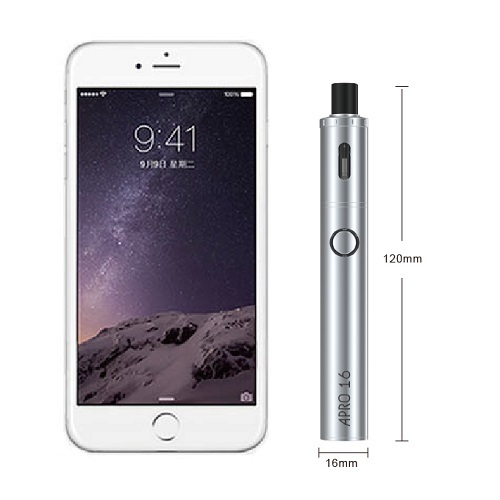 The e cig design is simple and elegant but pack an amazing kick for such a small vape. If you are looking for an e cig that's not bulky but gives a powerful nicotine hit with great flavour, this is definitely the starter kit for you. Building on the success of the Apro 22 Kit, UD have released its perfect counterpart which will be ideal for any beginner. 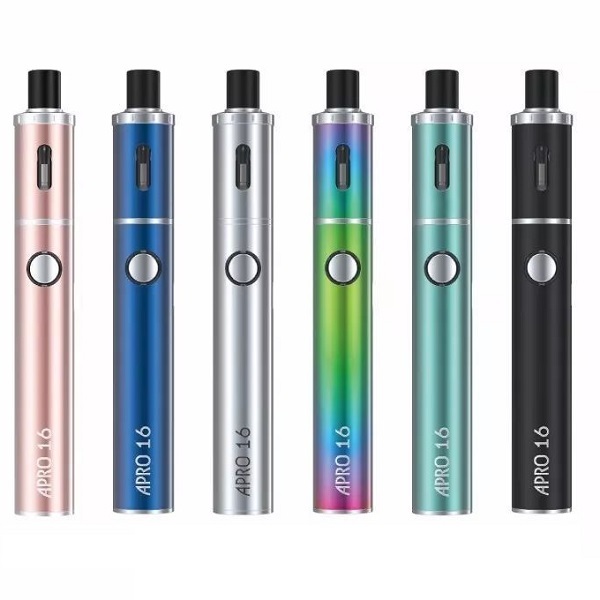 The sleek and stylish Apro 16 vap pen is powered by an 800 mAh built in battery, chargeable via USB cable included in the kit. The single button operated Mod keeps things simple and a 3 color battery indicator light will let you know when you need to recharge. The 2ml TPD compliant Tank is effortless to use and maintain with its user friendly top fill system and easy plug in stock coils. For a small device it packs a punch and delivers great flavor, highly recommended for new vapers.